... rather below than above the middle station of life. ... followed the commercial fashion of the day, and became a manufacturer of money: he was for a time very successful in his speculations: but though a man of strict integrity, he was at last involved in the ruinous consequences of the general depression of the value of landed property so fatal to the country's bankers. Thomas was the eldest of the ten children in this Quaker family but, from soon after his birth, he was brought up by his mother's father Robert Davis in Minehead about 15 miles from Milverton. ... who had neither the talent nor temper to teach anything well. He then spent eighteen months attending a boarding school near Bristol, but mostly he worked on his own, getting through the set books in less than half the time taken by the teacher. In 1782 he entered a school in Crompton, Dorset, which was more suitable for a young genius since pupils were given more freedom to progress at their own pace. For Young this pace was very fast, for he was undoubtedly an infant prodigy. By the time he left this school in 1786 he was knowledgeable in many languages, including ancient Greek, Latin and Hebrew, as well as French and Italian. He had also acquired a good grounding in Newtonian physics, studied optics and made several instruments with the help of a tutor at the school. His passion for eastern languages continued after he left the school and he began to study Arabic, Persian, Chaldee, Syriac, and Samarian. Although only thirteen years old, Young now became a tutor to Hudson Gurney, the twelve year old grandson of David Barcley who lived in a country house near Ware in Hertfordshire. Young spent five years to 1792 working in the country house or at Barcley's London home. He took the opportunity to educate himself in mathematics, reading Euclid's Elements and the works of Newton. He also read other scientific books, as well as books on history and languages. In the autumn of 1792 he moved to London to begin his studies of medicine. As well as attending lectures at the Hunterian school, he enrolled as a pupil at St Bartholomew's Hospital. Required to dissect an ox's eye, he began to develop a theory of accommodation for the eye. He published his theories in Observations on vision read to the Royal Society of London on 30 May 1793. Young was elected a fellow of the Royal Society on 19 June 1794. Young continued his medical training, entering the University of Edinburgh in 1794. As a Quaker he could not study at Oxford or Cambridge, so within Britain he could only obtain a degree from a Scottish university. After one year of study he went to the University of Göttingen, arriving there in October 1795. After submitting a dissertation, Young was given an oral examination and passed on 30 April 1796. The dissertation used Young's expertise in anatomy, language and sound. He left Göttingen in late July and visited Brunswick, Gotha, Weimar, Jena, Leipzig, Dresden and Berlin before returning to England in February 1797. He discovered, however, that a change in regulations by the College of Physicians required a period of two years study at the same university before qualifying to practice medicine. He therefore went to Emmanuel College Cambridge, but before doing so he had to leave the Quakers and declare himself a member of the Church of England. He did not find this hard for he had been moving steadily away from the strict Quaker rules, attending dances and the theatre while in Edinburgh. I am ashamed to find how much the foreign mathematicians for these forty years have surpassed the English in the higher branches of the sciences. ... he presumed ... on the knowledge and not on the ignorance of his hearers. He resigned in the summer of 1803 in order to concentrate on building his medical practice. Before doing this, however, he did further important work on physics, reading Experiments and calculations relative to physical optics to the Royal Society in November 1803. In this paper he presented a wave theory of light using it to explain interference patterns and describing how he had determined the wavelength of different colours of light using diffraction. It was a marriage of mutual affection and esteem, such as he had always looked forward to as the great object of his professional and other exertions, and secured for him a home which was graced by all the refinements of good manners and a cultivated taste: it was a singularly happy marriage. 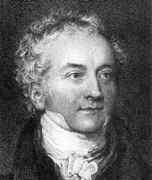 Also in 1804 Young was made foreign secretary to the Royal Society of London, a post he filled for the rest of his life. In 1807 Young published A course of lectures on Natural Philosophy and the Mechanical Arts. It was a two volume work based on the lectures he had given at the Royal Institution but also contained papers he had not delivered during his lectures there together with an incredible catalogue of scientific literature from Greek times up to the date of writing. This catalogue contained over 20,000 items arranged in a systematic form. The book contained more experimental evidence to support a wave theory of light, produced to answer the severe criticism that his earlier work had prompted. One has to understand that Newton had proposed a corpuscular theory of light and Newton was held in such high regard by English scientists that anyone suggesting something contradicting Newton would inevitably be ridiculed. The book also contained a mechanics lecture dealing with elasticity where Young's modulus is introduced for the first time. Young built up his medical practice but, although he was talented as a doctor, he had little of the manner that patients sought, so he did not have a great deal of success. In 1811 he was appointed to St George's Hospital. He carried out his duties there with great diligence but again he seems to have failed to make much of an impression. Perhaps he was just too well known for his expertise outside the medical field to gain much respect within it. There is yet another side to Young's broad range of activities to which as yet we have made no mention. This is his effort, begun in 1814, to understand Egyptian hieroglyphics. He started on this new interest after publishing a medical work An introduction to medical literature in 1813 and completing the work for A practical and historical treatise on consumptive diseases which was published in 1815. The Rosetta Stone, containing texts in three different languages, Greek, demotic script and hieroglyphic script, had gone on display in London in 1802 but at that time he was too involved with his Royal Institution lectures, then in publishing these lectures, and after that his concentration on a medical career diverted him from what, in many ways, was the ideal task for someone of his skills and interests. The credit for deciphering hieroglyphic eventually went to the French linguist Champollion, but he benefited greatly from Young's efforts and the two corresponded at great length. In the end national rivalry prevented Champollion giving Young the credit that he deserved. However, it was Young who made the major contribution to deciphering demotic script. In 1816 Arago visited Young to discuss Fresnel's experiments on the wave theory of light. In the following year Young visited Paris and was welcomed by Arago to the Institute. In 1821 Young visited France again, this time with his wife, then they went on to Italy before returning to England in October 1821 on receiving news that his wife's mother was seriously ill. His own health, which had been outstanding since his youth, took a turn for the worse in 1828 while he was visiting Geneva. He began to experience difficulty in breathing in February 1829 and died in May. The death of Young in his own country attracted but little regard.